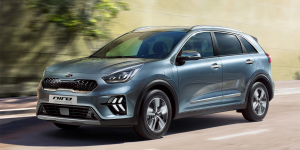 Following the market launch of the e-Niro, Kia is also revising the two hybrid versions of the model for model year 2020. The new versions of the Niro Hybrid and the Niro Plug-in Hybrid will make their debut at the Geneva Motor Show. Kia has started selling their Niro EV in South Korea. The European premiere will take place at the Paris Motor Show, and will be available before the end of the year. 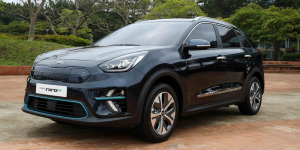 At a South Korean fair, Kia has now presented the serial version of their fully electric Niro. The Kia Niro EV will be released in Korea in July, and will be introduced to the European market after the Paris Motor Show in October. 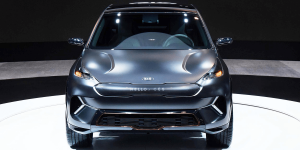 Kia’s has put a prototype of its all-electric Niro on display in Las Vegas. The model’s 150 kW serial version shall hit the stores before the year’s end. According to the carmaker, it comes with a 64 kWh battery pack and reaches up to 382 km. 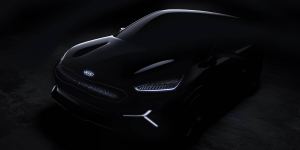 Korean carmaker Kia has released a series of images to tease the world debut of the all-electric Niro EV. The revelation is set for this Tuesday, January, 9. Kia thus completes the Niro series that also includes a hybrid as well as plug-in hybrid variant.